Well, I am back on the Birchbox train! I know I said that I was planning on ditching subscription boxes but Iâ€™m the most indecisive person in the world and life started to get really busyâ€¦.which leads me to where I am today. Oops! ðŸ˜› After ditching 90% of my subscription boxes, I started a new job, added a couple of other commitments, and found myself with much less free time than Iâ€™d previously had. I think this just goes to show that subscription boxes are a great fit for certain people, and maybe even at certain points in life! After work started to pick up, I found myself ordering things online instead of visiting stores - which can be quite expensive if youâ€™re trying out new products and are not able to test them out in stores! In the end, I figured if Iâ€™m going to be trying product, I should probably be trying out samples instead of buying them full price right off the bat. Birchbox is a monthly beauty subscription ($10/month or less if you choose a year long subscription) that sends our personalized full-size and sample-size beauty, hair, make-up and skincare products. This sample from coastal scents is a blush and highlight from one of their contouring palettes. The blush is on the pinkier side and has some beautiful pigmentation. The highlight, on the other hand, was a little too light for me. It mightâ€™ve been perfect for someone with fairer skin but for my slightly darker skin, I found that I had to go into the product a couple of times to build up the highlight. I really enjoyed trying this sample but probably wonâ€™t be going out to purchase the full-size product. If you had asked me a couple of years ago how I remove my make-up, I wouldâ€™ve said vaseline all the way! Now, however, I have become wipe obsessed and am always looking for new wipes that are more effective or gentler on the skin. While these wipes from rms beauty were gentle and did not sting on the skin, they were so oily when I used them that it practically felt like Iâ€™d used vaseline to remove it anyway. Plus, at $16 for a full-size 20 wipes, this oneâ€™s definitely not kind on the wallet. It was a no-go for me. 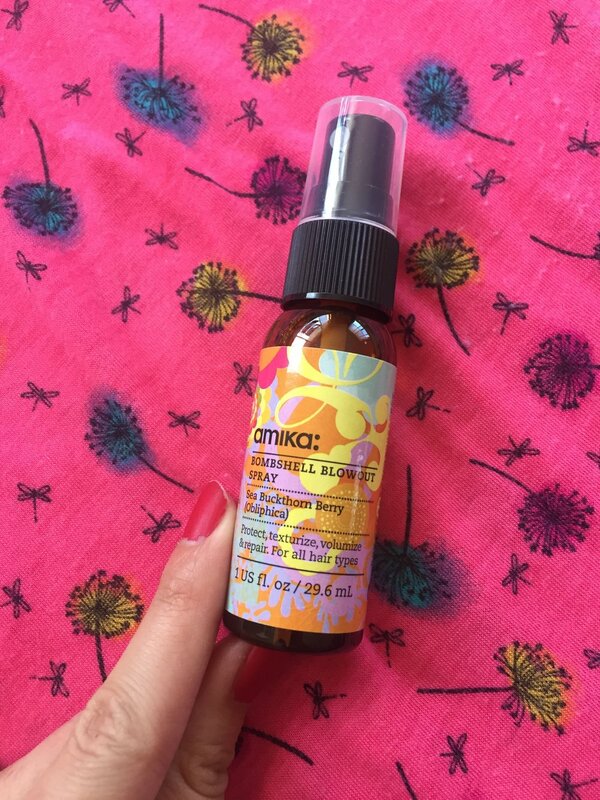 I've been using this blowout spray for a couple of days and really haven't noticed much of a difference in my hair! Volume is not something I usually need in my hair - in fact, Iâ€™m usually looking for products that tame frizz - so this product just wasnâ€™t a good fit for me. This product came at the perfect time because Iâ€™m trying the whole showering at night thing! Iâ€™ve owned quite a few dry shampoos in the past and I donâ€™t love the way they feel on my hair. It seems like most of them leave my hair feeling rough and knotty so Iâ€™m excited to try out the Death Valley brand and see if this might be a better fit for my hair. This liquid lipstick was the winner of the box by a mile! It was a little bit drying on the lips but with a beautiful, dark shade like this you really donâ€™t want that color to move AT ALL so Iâ€™m more tolerant of the dryness as long as it means the lipstick doesnâ€™t move! This shade is absolutely beautiful and the formula has been extremely long-wearing so Iâ€™m very pleased with it! For me, this box was kind of middle of the line. Even though I probably wonâ€™t be going out to purchase any of the full-size versions of these products, these are all products that I use in my day-to-day life and for me, itâ€™s always interesting to test out products that different brands put out to see how they compare to the things I already use. Iâ€™m looking forward to being back on the Birchbox train and being able to test out products before jumping straight in to buying the full-size versions! 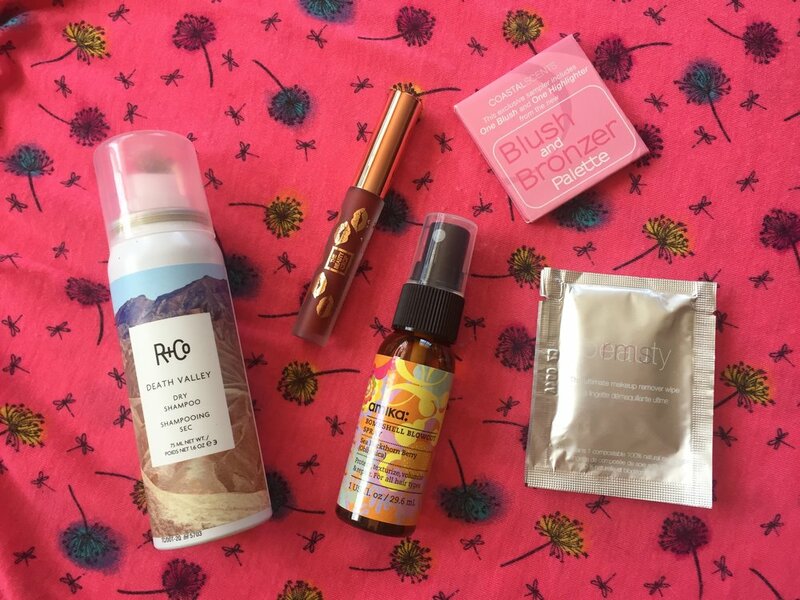 What did you think of your April Birchbox? Let me know in the comments!